Charlie Taylor has completed his move to Burnley. Burnley have confirmed the signing of left-back Charlie Taylor from Leeds United for a compensation fee yet to be agreed. Taylor, 23, out of contract on July 1 after turning down United’s offer of a new two-year deal last month, has put pen to paper on a four-year contract at Turf Moor. “Charlie Taylor has joined the Clarets on a four-year deal after reaching the end of his existing contract at Leeds United,” Burnley said in a statement. 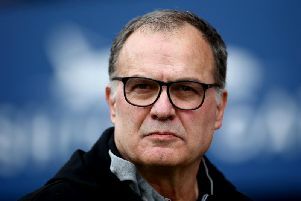 Taylor handed in a transfer request last summer soon after opting not to take up the offer of a new deal and made clear his intention to quit Elland Road when he refused to play in United’s final game of the season at Wigan. He was later fined two weeks’ wages. He was widely expected to join West Brom this summer after manager Tony Pulis publicly declared his pursuit of the player, but it is understood neither club could agree on a valuation. Taylor progressed through Leeds’ academy and after making his full debut aged 18 in September 2011 went on to make over 100 first-team appearances. He also had loan spells at Bradford, York, Inverness and Fleetwood and made two appearances for England Under-19s.